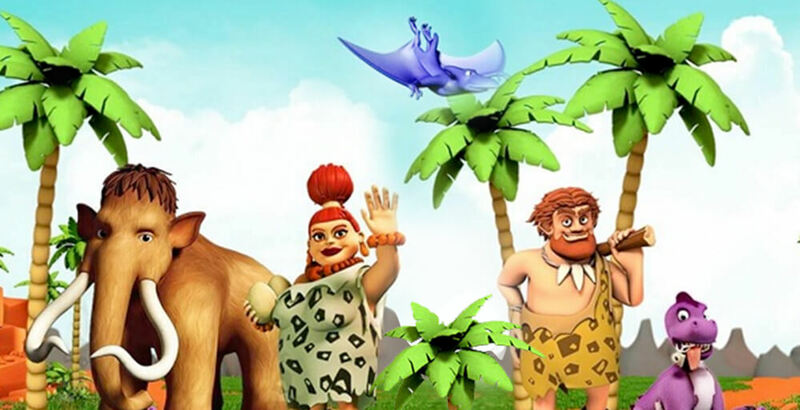 is a colorful slot set in the Stone Age. Set on a somewhat tropical backdrop, large palm trees are placed on either side of the reels. All the stake amounts, balance, and winnings are outlined with cartoon boulders or rocks reminiscent of the Flintstones. This slot is five reels with three rows and has only ten pay lines, and in keeping with the prehistoric theme there is a dinosaur, albeit a pink one. The main symbols are the male and female cavemen characters and, of course, the dinosaur. The lower values are the standard 10, J, Q, K and A, all of which have been made to look as if they were carved out of large boulders. The wild is a big boulder and only turns up on the three central reels. 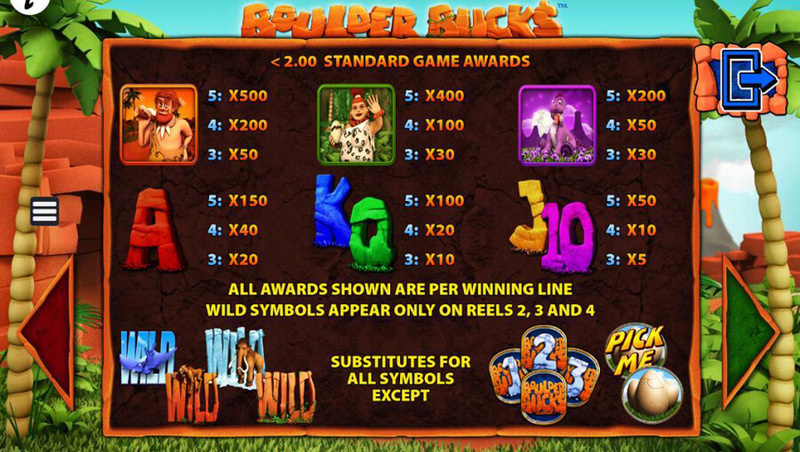 There are two more bonus icons represented by the Boulder Bucks Logo and a dinosaur egg ‒ but more about them later. of 98%, which helps players to get some good consistent wins. The first bonus is the forever-popular free spins. These are activated by having three of the Boulder Bucks logo (the scatter) land on reels one, three, or five. The symbol that is on the fifth reel will determine how many times a player can choose from the following options. First, there are Mammoth Spins, which offer twenty free spins plus expanding wilds that occur on the three central reels. Next, there are Pterodactyl Spins which give out ten free spins with wilds on the three central reels and these expand to the left. The last option is the Sabre-Toothed Tiger Spins. 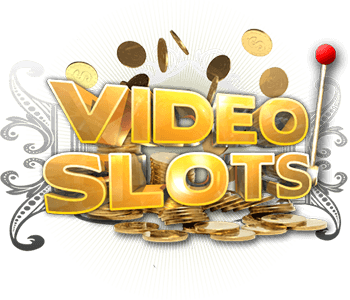 This offers six free spins plus expanding wilds on the three central reels. These expanding wilds will stay in place for the entirety of the spins. The next bonus is the Egg Hunt Pick Me. This is activated by having three of the dinosaur eggs landing on any of the three central reels. Players need to pick one of the eggs to win a multiplier or an entry into the free spins phase of the game. Lastly there is a Big Bet option. This is an option and will cost the player an extra twenty to thirty coins, all dependent on what the player chooses. Twenty coins can buy five spins. 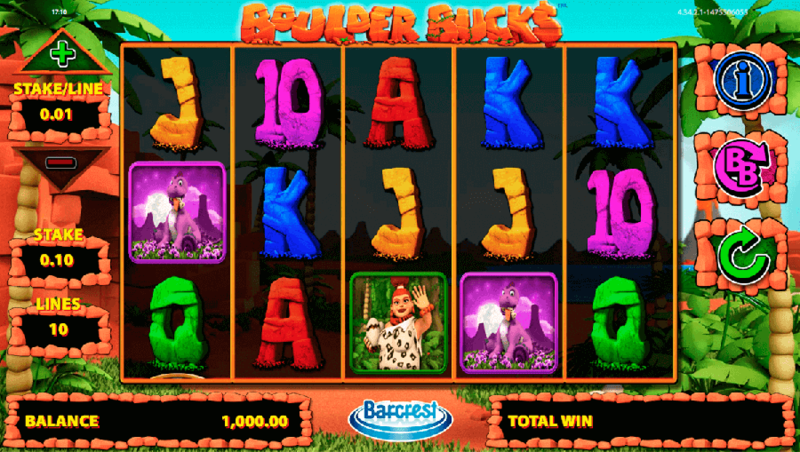 If two Boulder Bucks icons turn up on either reel one or three, the player will get a ‘pick me’ option on reel five to try and find the third Boulder Bucks symbol which will then activate the free spins. Thirty coins pay for five spins and again, two Boulder Bucks icons, this time on reels one, three and five. 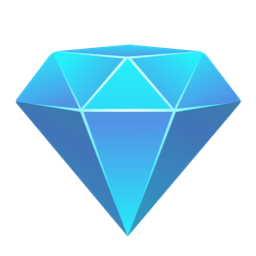 The ‘pick me’ is offered and players try to find a third icon to activate the free spins.